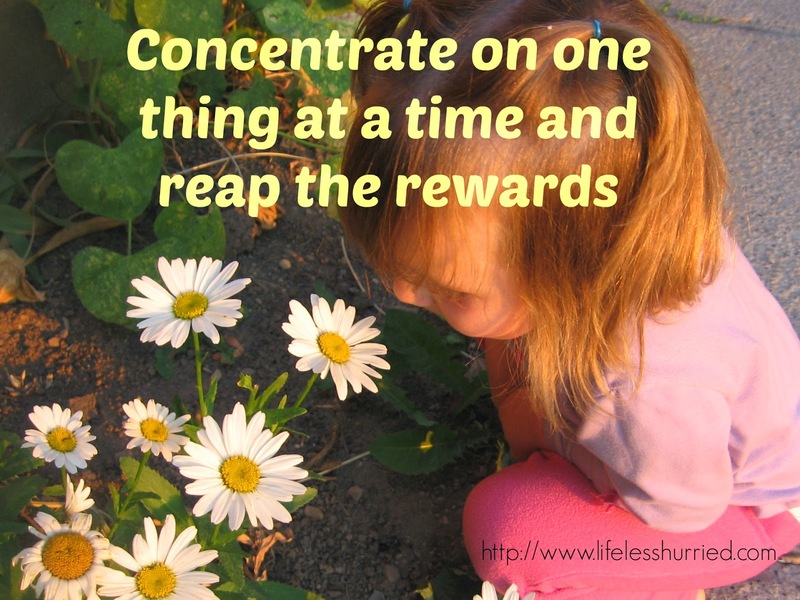 Life less hurried, living in the slow lane: Multi-tasking---friend or foe? There are times when we must multi task, but to make it a way of life is absurd (spoken from a woman who used to live that absurd life). 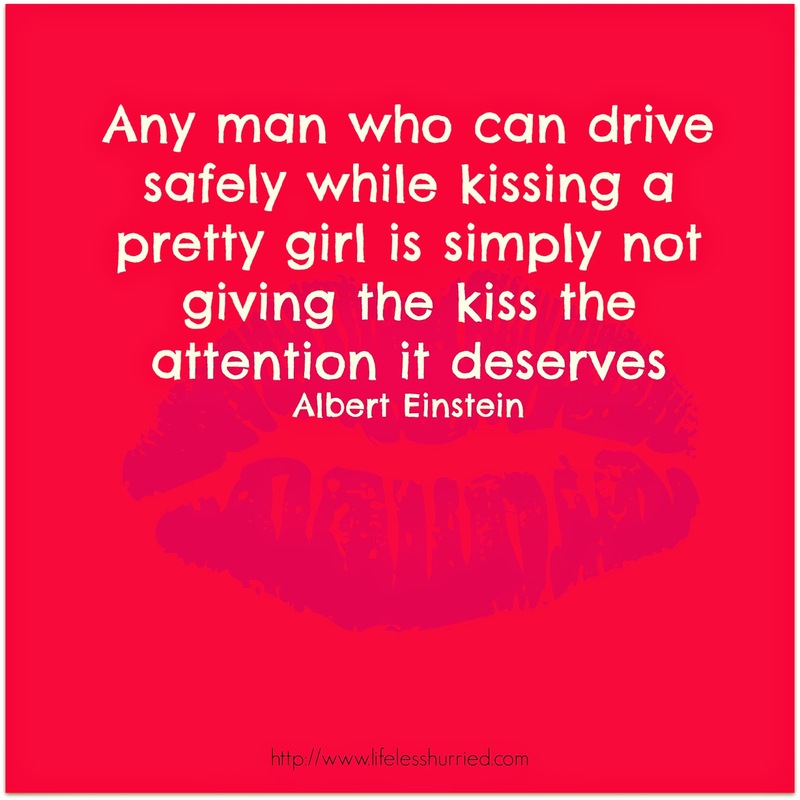 Women are notorious for multi-tasking and for many, it is an addiction and a way of life. There was a time I thought that multitasking was a way that I was supposed to live. It was the surefire way to get to ahead and obtain the American dream. I had come to believe that to be successful in life you had to have a great ability to multi-task. I was pretty good at it, but not near as good as my sisters and others that I used to compare myself to. I was driving myself crazy trying to keep up. I'll let you in on a little secret. 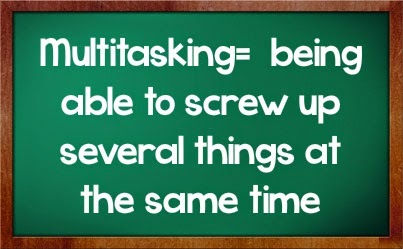 The most successful people in life Do not multi-task. In fact they are the exact opposite, they are notorious for being obsessed with and focused on only one thing. Those who are truly successful know one of the secrets to success in life is that you get what you think about most of the time. If you are thinking about twenty things at once, which are you thinking about most? None of them. You have to have a main target that you are shooting. Shooting at 15 different targets at the same time (even if you hit one or two) does not make you a great archer, but yet this is what we are doing when we multi-task. I was so much into believing in multitasking as a way of life yet my husband didn't get it. I used to get so upset at him and what I called his one-track mind. He was totally opposite. He would get focused on one thing and I could not get his attention to shift with me. He would focus on that one thing until he got it, or finished it (which would sometimes take days or weeks). I got tired of hearing him talk about this one thing. It would make me crazy. He would be working on a project and ask me to come help and I would say, " Just a minute let me finish A, B, and C first." I would hurry and finish reading the page in my book, switch the laundry over and feed the cat on the way out the door to help him on his project. I would help for a while, but my mind would be wondering when we I could leave because I would remember six other things that I wanted to get done before dinner, what was I going to make for dinner? I would excuse myself from helping him and be back to doing all the things that I thought needed to happen. This pattern was a trouble for us because his love language happens to be quality time. I found myself not spending quality time with him because I was too busy multitasking to get accomplish all the things I wanted to do to show him that I loved him. When I was spending time with him I was absent because my mind was always going over what the next six projects were going to be. It was not working for us. I was becoming great at multitasking but I was failing at being the good mother and wife I wanted to be. On the outside I looked like I could do it all, but on the inside I was feeling crushed, overwhelmed, and exhausted by it all. I felt like was screwing up everything in a big way. This was not the way I wanted my life to be. I would get so tired trying to do it all. I was spending my time spinning my wheels trying to do everything but not doing any of it well, in fact I spent most of my time trying to figure out how to get out of the messes I created by not paying attention to the important things. I am making big efforts to have a focus and quit juggling everything. I am happier now that I have learned to juggle only the important things. I have found that taking time for the little moments really makes a difference. 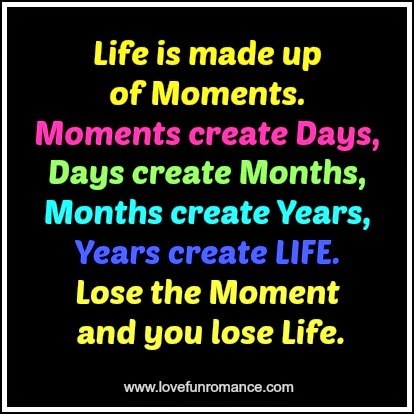 It is better to live in the moment rather than waste the time thinking about what the next moment brings. I have quit driving my life about at a hundred miles an hour. I have learned to slow down and enjoy life and enjoy the people I am living with. It has not always been easy. In the beginning I would spend time trying to be in the moment with my children and wondering if there was something that would be more productive. I could not find the joy in just being with someone and not having three other projects all going on or lined up to do next. I have learned that time spent really engaged in knowing someone is not time wasted. It has been a journey for us all. My family is much happier when I live in the moment with them, when I show up, look up and pay attention to what is going on around me. They are beginning to know that they are important to me, it shows through my actions when I engage with them. It is even harder now in our busy world, but it is important to slow down and take part in your own life. You have the ability to make your world whatever it is you want, you just have to decide what is important and let the rest go. Here are links to the 5 love languages books by Gary Chapman They are wonderful books. I highly recommend them as a great reference for any family. They also make a great wedding gift. A very nice post. You're learning an important lesson. The world tells us we need to be as busy as you described. You've got the right idea, slow down. Also, don't listen to those who try and tell you to do more, including more volunteering of time if you are a stay at home momma. I hope to read more great posts from you. This is my first visit to your blog. I found you through Home and Garden Thursday. You have touched on what has been a soapbox issue for me for many years. I have blogged about this subject previously (on an old blog I have since deleted), and I've written an article for Above Rubies about it. When my children were in the toddler stage (they are now in their early 20's), I fell prey to the lie that I wasn't doing anything important, that I needed to be busy outside my house all the time. I was a stay-at-home mom, but I was never home. My health and home suffered as a result. I finally learned the lesson that our bodies weren't meant to run like the Energizer Bunny...nor were our minds. It really is OKAY to say no and to live a slower-paced life. And you know what, as I slowed down my life, I regained my health...and my home. This is a message that we so need to hear in this "always stay busy" society we live in now. It is definitely better for your family and health to slow down and enjoy the little things :) Thanks for linking up at the homeacre blog hop. Be sure to stop by PintSizeFarm.com to link another post up this week (thursday)!